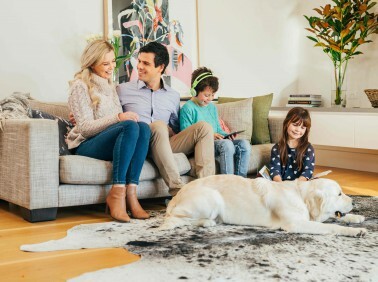 At MyHome Richmond we make use of a DRY-Touch carpet cleaning system that is very sophisticated; one that leaves your carpets clean and dry in an hour. MyHome cleaning solutions are combined with Healthguard which aids in removing bacteria, mould and fungi from your rug or carpets. We clean your carpets in such a way that the natural balance is restored, as well as the carpet’s softness and bright colours. Unlike other cleaning solutions, our Dry-touch system does not leave behind chemical odours or wet carpet smells. After cleaning there will just be a fresh, light lemony scent. At MyHome Richmond, we do not make use of too much heat, harsh chemicals or too much moisture. This helps to ensure that the carpets don’t shrink or stretch. Also, before we clean the carpets we make sure that we thoroughly vacuum them first to ensure the best results. People in Richmond tend to opt for carpets on their floors and this is because of the warm and comfortable feeling they bring to any home. Another advantage of carpets is that they are available in a variety of designs, materials and colours. Carpets help to keep houses warm. This means that you will be able to keep everyone in your home safe and warm, and that includes your pets. They also help you achieve your interior décor desires. But, what is the best way to keep those carpets smelling fresh and looking new? The answer is simple: through a professional cleaning system on a regular basis. Making use of expert cleaners like MyHome Richmond Carpet Cleaning frequently, will ensure that your carpets remain clean, healthy and fresh. It is one of the best ways you can maximize on your investment. Our DRY-Touch cleaning system will lengthen the life of your carpets; meaning you will not have to replace them after a short period of time. Your carpets will always be clean and have that fresh scent at all times. We do all this without drenching the carpets in litres of water, but still leaving your carpets and rugs dry, clean and fresh in one hour. We have such confidence in our MyHome Richmond Carpet Cleaning services that we have a guarantee that if a client is not satisfied with our service, we will clean your carpets and rugs again FREE of charge! Carpet cleaning may look like it is an easy and straightforward task. However, the truth of the matter is that choosing a carpet cleaner in Richmond is not as easy as one might think. 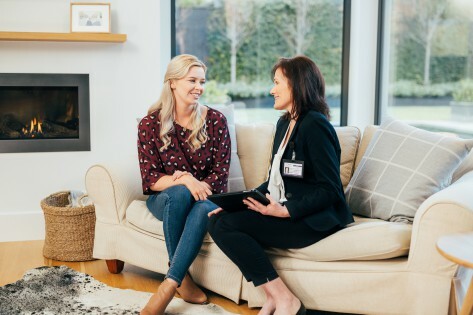 This is because a lot of traditional carpet cleaning businesses make use of hot-water extraction systems, which make use of a combination of chemicals and hot water. The disadvantage of the hot-water method is that it can cause damage to the fabric or carpet fibres, leaving your rugs and carpets with a chemical smell, soaking wet and with damp residues which attract more dirt. on 13 22 31 to get a free, no obligation quote. You can also send us your enquiries online and we’ll get back to you shortly.